Choose Your Own Adventure is a exhibit curated by Alexandra Terry. The opening reception will be held at Object + Thought 3559 Larimer St. Denver, Co. on Sept. 4th. 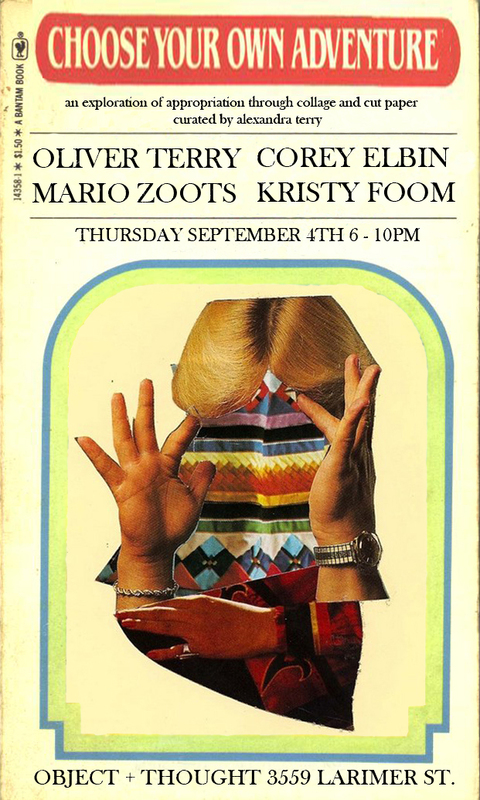 This show will have artwork from Oliver Terry, Corey Elbin, Kristy Foom and Mario Zoots.